We all know that fried foods are certainly on the “naughty” list. Although it’s well understood that foods fried in hydrogenated oils can lead to a wide range of health complications, including weight gain, they’re still readily consumed each and every day. Like any industry, especially the food and cooking sector, if there’s a need for something in the market, a product will be made to meet that demand. As we learn more and more about our diet, more specifically unhealthy fats, new solutions are offered to those aiming to protect their health. Fast food restaurants in the United States serve 50 million customers each day. That means many of us are consuming a diet high in fat, salt and sugar. For those who love a side of sweet potato fries here and there, is an air fryer a healthier solution? Can you still enjoy those foods you love — or is there a better alternative? 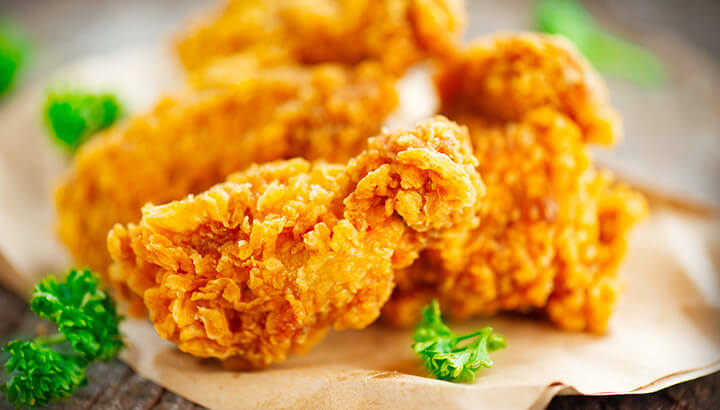 An air fryer can “fry” foods with just half a spoonful of oil. Less than a decade ago, the revolutionary air fryer was introduced to the market. Instead of using fat and oil to fry foods, this appliance was designed to fry without needing to dunk food in oil. In fact, most foods within this cooking device require no oil at all — just hot air. Based on Rapid Air Technology, air fryers blow superheated air to cook foods that are traditionally fried in oil. Whether you want to make fish and chips, chicken or even donuts, air that’s up to 200 degrees Celsius begins to circulate, creating a browned, crispy surface. In just 10 to 12 minutes, for instance, you can cook a batch of fries, using just half a spoonful of oil. And, that’s just the beginning. From cakes to nuggets, burgers to steaks, foods can be rapidly cooked to achieve the same results when frying, toasting, baking or roasting. Although marketed as an all-purpose fryer, the Airfryer from Philips, for instance, is more like a mini convection oven. After all, a high-speed fan circulates hot air, cooking food sitting in a basket. It was initially designed as a safer, easier method of frying foods, as well as reducing oil-pan fires and associated injuries. But is this appliance actually healthier? More than seven million have been sold around the globe. At up to $299 a unit for some models, is it really worth the investment? Is it a healthier solution? Should I be using an air fryer to improve my health? An air fryer uses 80 percent less fat than traditional methods. As stated by Philips, the original makers of the air fryer, you can cook fries with up to 80 percent less fat than traditional frying methods. Since partially hydrogenated oils are full of trans fat, regular consumption will raise LDL cholesterol, increasing your risk of heart disease and stroke. Within one key study, published in the International Food Research Journal, researchers compared air-frying machines (Tefal Actifry) at 180 degrees Celcius for 40 minutes to traditional frying processes at the same temperature. Researchers cooked potato strips in six-minute batches and then tested them. Once the process was complete, they determined both the oil uptake and moisture, as well as any changes in physicochemical properties. Researchers found that air frying significantly reduced moisture and oil uptake. In terms of free fatty acids, peroxide values and other physicochemical changes, researchers reported greater changes in the oil extracted from traditional frying methods, in comparison to air frying. Overall, researchers concluded that using an air-fryer is, in fact, a healthier technique. One important thing to note is the possibility of increased free radicals. Even if little oil is used, the type of oil, the temperature, the food that’s been cooked and aeration all influence the formation of free radicals. If you’re a fan of air frying, at least use oils that do not oxidize easily, such as coconut oil. So, air frying is healthier, right? When compared side-by-side, it appears that the simplest answer is yes. 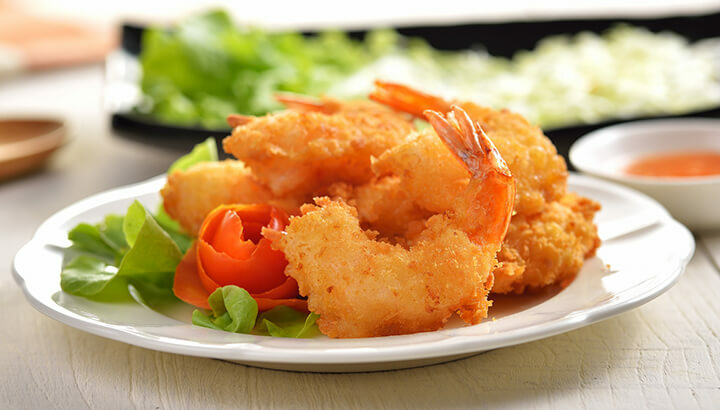 If you’re one to eat a lot of fried foods, then an air fryer is a healthier alternative in terms of oil consumption. Before you jump for joy, however, I have an unfortunate but to add. When looking at the big picture, it’s better to move away from “fried” foods, even if they’re not dredged in oil. At the end of the day, the foods that air-frying enthusiasts gravitate towards aren’t the healthiest options. Raw foods are more nutrient dense than the types of food you’d put into an air fryer. There’s been plenty of research, showcasing the fact that many raw foods are more nutritious than cooked — and they may even help you watch your waistline. Within one paper, published in the American Journal of Physical Anthropology, it was found that when cooked, fats in food actually yield more calories. Based on the air fryer, instead of getting excited, thinking you can eat more high-fat foods without the associated risk of frying, why not invest in more fresh whole foods? After all, more nutrient-dense, raw foods will do you good — and it’s not like you’re going to be air frying eggplant or spinach, are you? Even if you wanted to toss broccoli into your air fryer, you would still be cheating yourself of cancer-fighting nutrients. 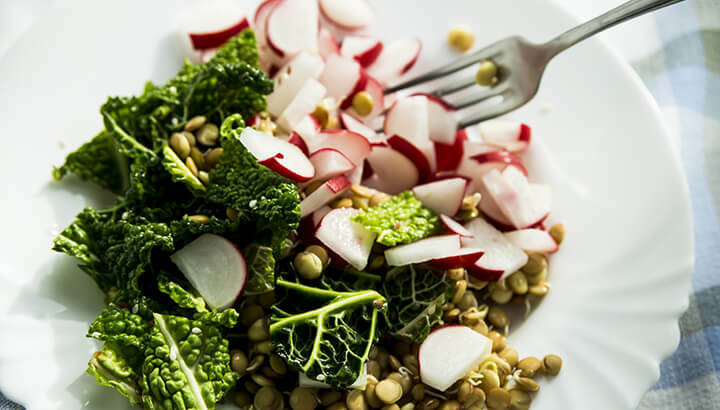 Numerous studies have shown that when consuming cruciferous vegetables raw, you can significantly reduce your risk of certain types of cancer. 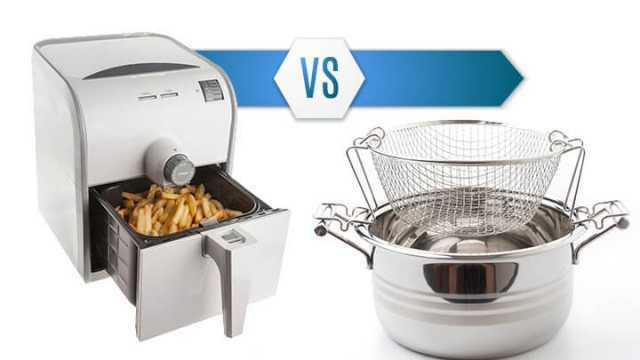 The moral of the story here is that air frying is certainly a healthier solution for those who love a bowl of fries or a quick-and-easy baked cake. But, when it all boils down, this device encourages you to choose low-quality, nutrient-void foods. Just as packaged foods were the solution in terms of convenience, this convenient appliance may also send you in the wrong direction. If you’re concerned with your fat intake, move away from the types of foods you’d like to cook in your air fryer. Switch to heart-healthy fats, such as those found in fish, walnuts, olive oil and avocado. If you truly want to be healthy, altering the way you cook potatoes and chicken won’t cut it — you need to transform your diet. Instead of spending $100 to $300 on an air fryer, why not take that money and invest it back into your new food plan? Get to know your local farmers and eat with the seasons. When eating vegetables that yield more antioxidants when cooked, such as tomatoes or carrots, lightly boil or steam them. Although air frying may seem like a fancy device that can improve your health, just remember this: cooking well doesn’t mean cooking fancy. Go back to basics. Eat a colorful diet and you’ll be on your way to positive health. Hey Buddy!, I found this information for you: "Are Air Fryers Really A Healthy Way To Cook Food?". Here is the website link: https://www.thealternativedaily.com/are-air-fryers-healthy-for-cooking/. Thank you.